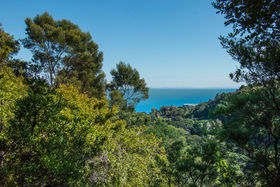 Situated at the end of a quiet cul de sac are two homes that share one amazing view. 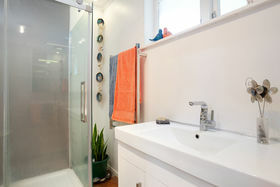 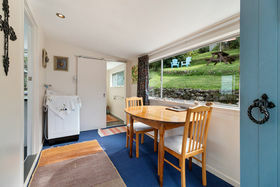 The main two-bedroom home built in the 1960s is brick and mortar with matai flooring and rimu joinery. 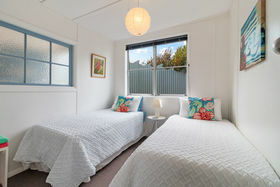 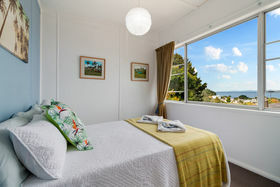 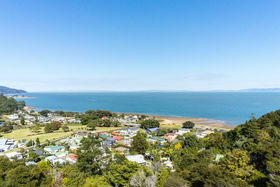 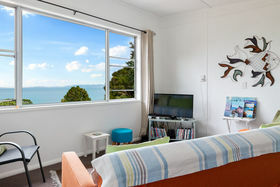 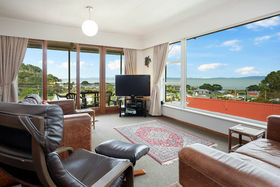 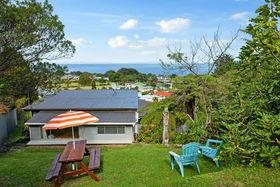 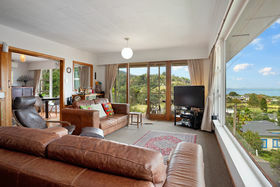 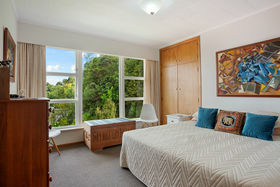 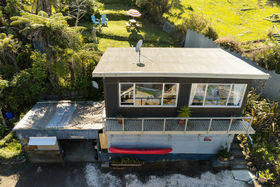 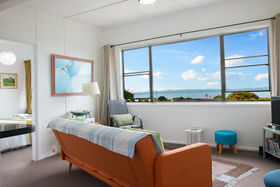 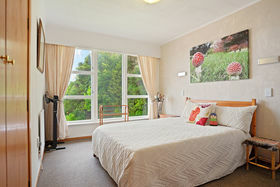 Outstanding views over Waiomu Bay and the Firth are enjoyed from the open plan living areas and bedrooms. 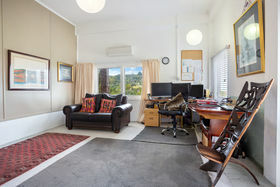 A generous downstairs office with internal access to large single garage/workshop makes working from home a comfortable option. 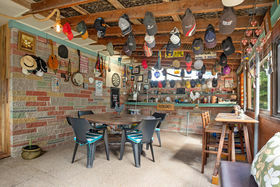 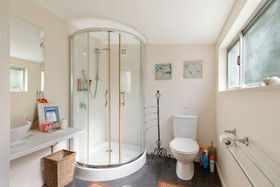 Or a great teenage pad. 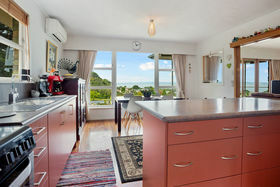 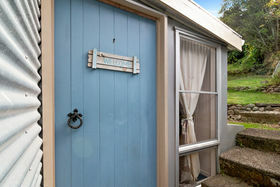 Above this the original two-bedroom self-contained cottage has been tastefully modernised and boasts the same amazing views. 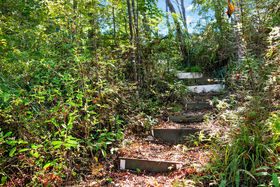 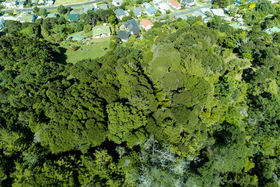 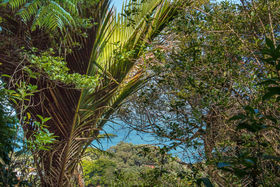 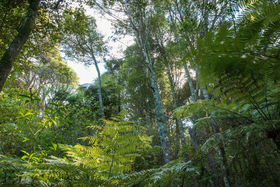 To the rear of the property a gentle climbing path takes you up through established matai, nikau and manuka to a ridge with views of Waiheke in the distance. 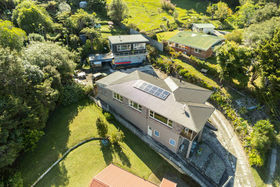 There is off-street parking for four vehicles, and with 3222m2 of land endless opportunities to create your own lifestyle. 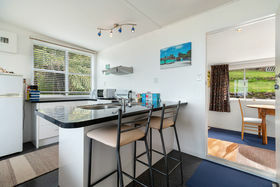 Just 200m from the beach makes this the perfect holiday property for family and friends, or a permanent home with extra income. 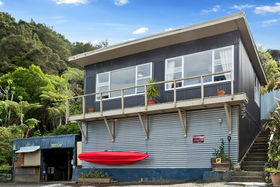 An easy 15mins commute to Thames or 1.5hr to Auckland.